Marble signs There are 56 products. 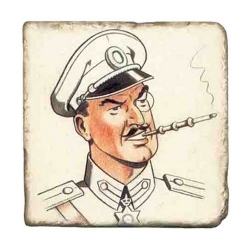 4 Collectible marble signs n°104, n°105, n°106 and n°107 Blake and Mortimer: The Voronov Plot. Limited edition of 29 copies, hand-numbered from 1 to 29. It is adorned with a magnet on the back. They have a magnet on the back. 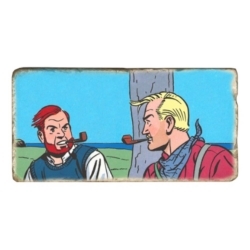 Collectible marble sign set Blake and Mortimer: The Oath of the Five Lords. Limited edition of 29 copies, hand-numbered from 1 to 29. 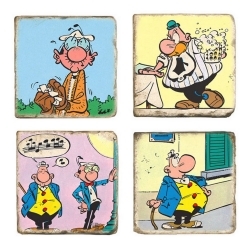 4 Collectible marble signs n°97, n°98, n°99, n°100 Achille Talon with Lefuneste, Papa Talon and Talon. Limited edition of 29 copies, hand-numbered from 1 to 29. 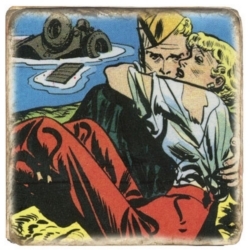 It is adorned with a magnet on the back. 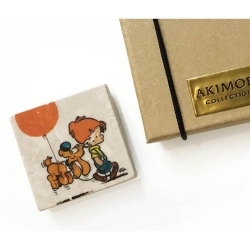 They have a magnet on the back. 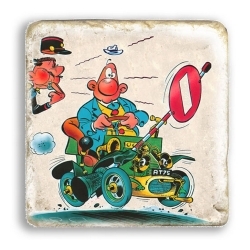 Collectible marble sign n°101 Achille Talon, the car and the policeman. Limited edition of 29 copies, hand-numbered from 1 to 29. 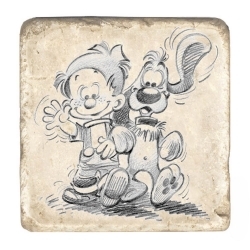 Collectible marble sign n°96 Billy & Buddy: Friends forever. Limited edition of 29 copies, hand-numbered from 1 to 29. 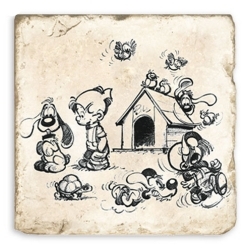 Collectible marble sign n°95 Billy & Buddy: with all their friends. Limited edition of 29 copies, hand-numbered from 1 to 29. 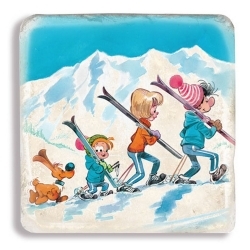 Collectible marble sign n°94 Billy & Buddy: Winter sports with family. Limited edition of 29 copies, hand-numbered from 1 to 29. 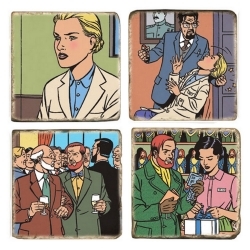 4 Collectible marble signs n°89, n°90, n°91, n°92 Blake and Mortimer: Valley of the Immortals T1. Limited edition of 29 copies, hand-numbered from 1 to 29. It is adorned with a magnet on the back. 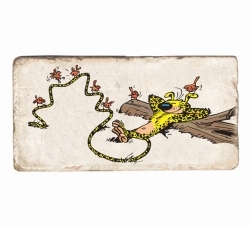 They have a magnet on the back. 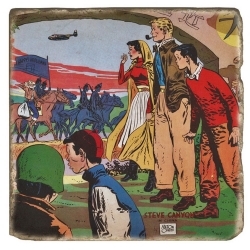 Collectible marble sign set Blake and Mortimer: The Valley of the Immortals Tome 1. 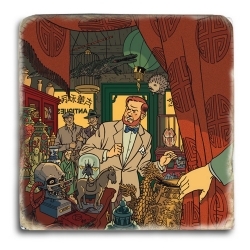 The antique dealer Yanjiu. Limited edition of 29 copies, hand-numbered from 1 to 29. 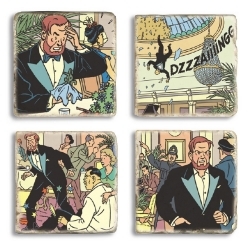 Collectible marble sign set Blake and Mortimer: The Valley of the Immortals Tome 1. 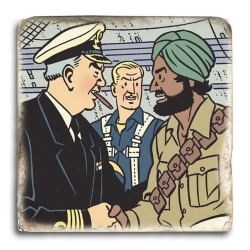 Handshake between the Admiral Gray and the Sergeant-Chief Nazir in front of Blake at the secret base of Ormuz. Limited edition of 29 copies, hand-numbered from 1 to 29. 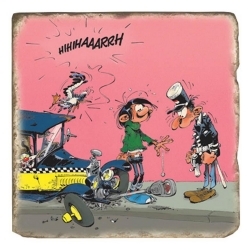 Collectible marble sign Gaston Lagaffe Look Up There. Limited edition of 29 copies, hand-numbered from 1 to 29. 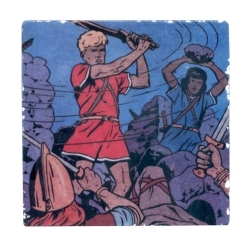 It is adorned with a magnet on the back. 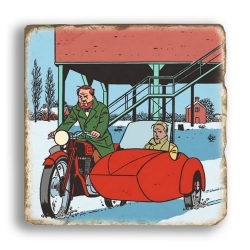 Collectible marble sign n°83 Billy & Buddy: Walking. Limited edition of 29 copies, hand-numbered from 1 to 29. 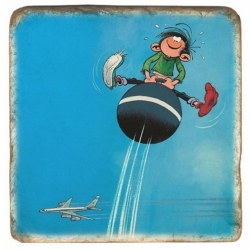 Collectible marble sign n°82 Billy & Buddy: The Balloon. Limited edition of 29 copies, hand-numbered from 1 to 29. 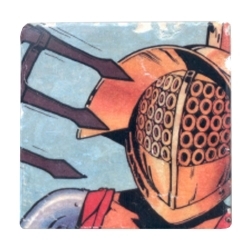 It is adorned with a magnet on the back. 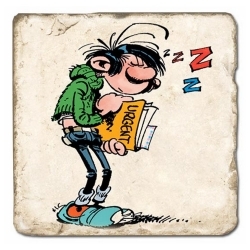 Collectible marble sign Gaston Lagaffe WÔOUP?! Limited edition of 29 copies, hand-numbered from 1 to 29. The marbles GA031, GA032 and GA033 are sold separately but together they form a complete gag (see picture 2). 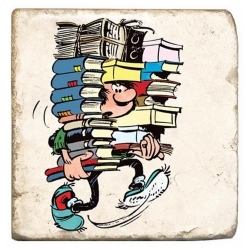 Collectible marble sign Gaston Lagaffe with a stack of books. Limited edition of 29 copies, hand-numbered from 1 to 29. The marbles GA031, GA032 and GA033 are sold separately but together they form a complete gag (see picture 2). 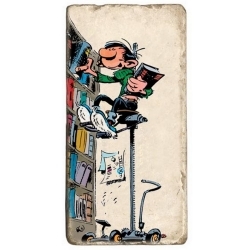 Collectible marble sign Gaston Lagaffe at the top of his library. 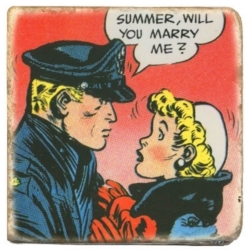 Limited edition of 29 copies, hand-numbered from 1 to 29. 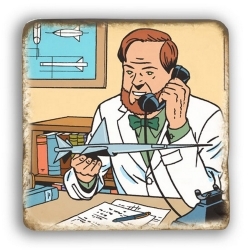 The marbles GA031, GA032 and GA033 are sold separately but together they form a complete gag (see picture 2). 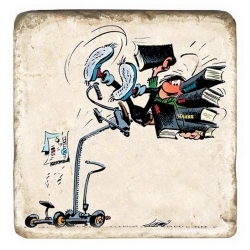 Collectible marble sign Gaston Lagaffe with De Mesmaeker. Limited edition of 29 copies, hand-numbered from 1 to 29. 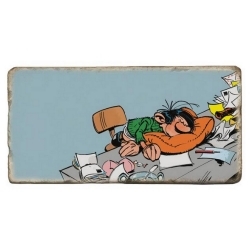 Collectible marble sign Gaston Lagaffe sleeping at work. Limited edition of 29 copies, hand-numbered from 1 to 29. 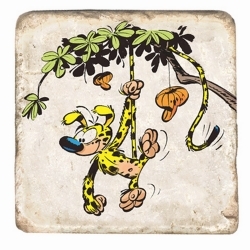 Collectible marble sign Gaston Lagaffe in the elevator. Limited edition of 29 copies, hand-numbered from 1 to 29. 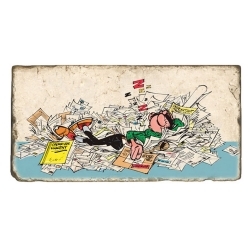 Collectible marble sign Gaston Lagaffe with his urgent file. Limited edition of 29 copies, hand-numbered from 1 to 29. 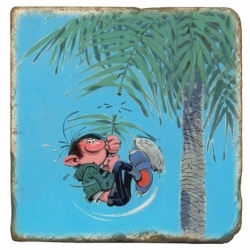 Collectible marble sign Gaston Lagaffe hanging on a palm tree. Limited edition of 29 copies, hand-numbered from 1 to 29. 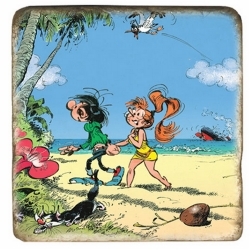 Collectible marble sign Gaston Lagaffe at the beach with Mme Jeanne. Limited edition of 29 copies, hand-numbered from 1 to 29. 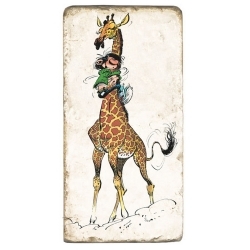 Collectible marble sign Gaston Lagaffe hanging on a giraffe. Limited edition of 29 copies, hand-numbered from 1 to 29. 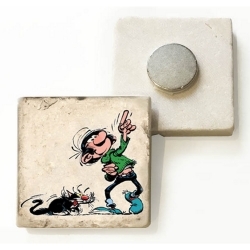 Collectible marble sign set Gaston Lagaffe with his jumping ball. Limited edition of 29 copies, hand-numbered from 1 to 29. 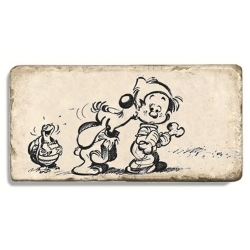 Collectible marble sign set Gaston Lagaffe in giant. Limited edition of 29 copies, hand-numbered from 1 to 29. 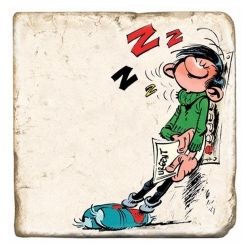 Collectible marble sign Gaston Lagaffe sleeping Zzzz!. Limited edition of 29 copies, hand-numbered from 1 to 29. 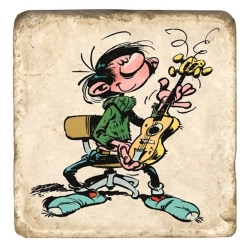 Collectible marble sign Gaston Lagaffe playing the guitar. Limited edition of 29 copies, hand-numbered from 1 to 29. 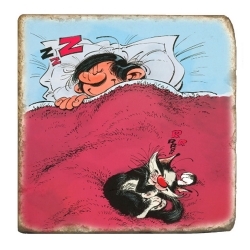 Collectible marble sign set Gaston Lagaffe with his cat taking a nap. Limited edition of 29 copies, hand-numbered from 1 to 29. 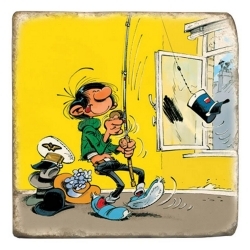 Collectible marble sign Gaston Lagaffe fishing for an agent kepi. Limited edition of 29 copies, hand-numbered from 1 to 29. 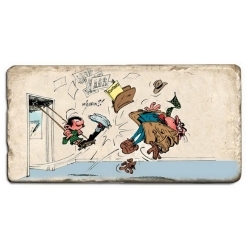 Collectible marble sign Gaston Lagaffe and the agent Longtarin. Limited edition of 29 copies, hand-numbered from 1 to 29. 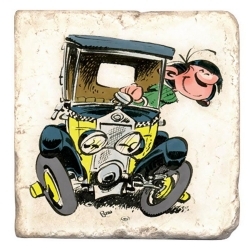 Collectible marble sign Gaston Lagaffe by car. Limited edition of 29 copies, hand-numbered from 1 to 29. 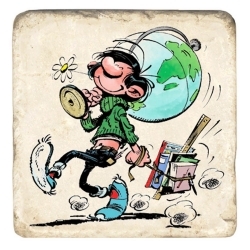 Collectible marble sign set Gaston Lagaffe and the world map. Limited edition of 29 copies, hand-numbered from 1 to 29. 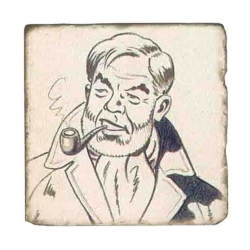 Collectible marble sign Blake and Mortimer: Olrik Portrait. Limited edition of 29 copies, hand-numbered from 1 to 29. 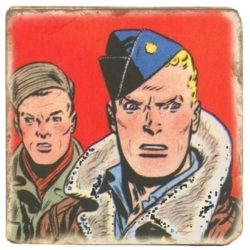 Collectible marble sign Blake and Mortimer: Philip-Edgar-Angus Mortimer Portrait. Limited edition of 29 copies, hand-numbered from 1 to 29. 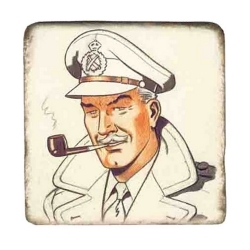 Collectible marble sign Blake and Mortimer: Sir Francis Percy Blake Portrait. Limited edition of 29 copies, hand-numbered from 1 to 29. Collectible marble sign Alix Les Légions perdues. Limited edition of 29 copies, hand-numbered from 1 to 29. 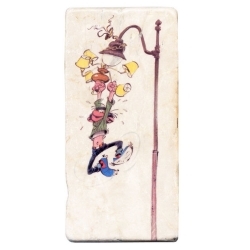 Collectible marble sign Gaston Lagaffe hanging on the lamppost . Limited edition of 29 copies, hand-numbered from 1 to 29. 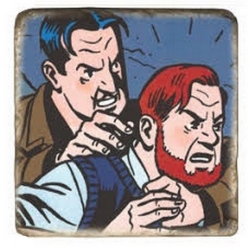 Collectible marble sign Blake and Mortimer The Francis Blake Affair. Limited edition of 29 copies, hand-numbered from 1 to 29.